We know decades of dumping has created entire islands of plastic in the oceans. With no initiatives forthcoming from governments and big business, we as ordinary citizens feel angered and powerless. 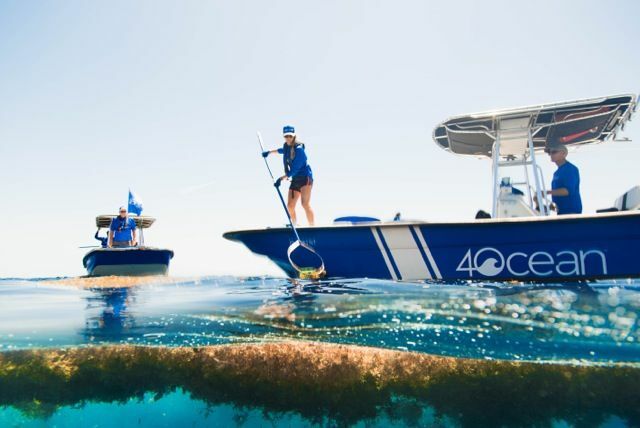 Thankfully, organisations such as 4Ocean are stepping up, seizing the initiative and taking it upon themselves to begin the task of cleaning our seas. Every year over 34 million tons of plastic enters the seas and oceans of the world. It takes the form of plastic packaging and wrapping, cellophane, toys, synthetic clothing, pipes, fishing nets, everyday items and above all, plastic bags and bottles. From soft drink to water containers, they now litter the seas the way they line the roads and sprawl across parks and verges. Quite apart from the oil, metal and chemicals that reach the sea, this is in itself an environmental disaster on a massive scale. The evidence is plain to see when you sail out to the deep blue, but also in the form of the melee of garbage that washes up on the beaches not just of industrial nations but even the remotest tropical islands. The damage done to the natural ecosystem is now being matched by that done to industries such as tourism and fishing, with more and more sea creatures dying off as they are caught in nets or trapped in floating shoals of plastic detritus. Most of us are blissfully unaware of the dramas that play out at sea everyday as a result of the products, packaging and wrapping we discard – much of which finds its way into the oceans. We look the other way and continue consuming, just as governments and corporations do little to offer practical solutions to roll back the tide of destruction. But we can’t hide much longer, as the build-up of debris is such that soon it won’t be easy to find a pristine beach to enjoy. Fortunately, not everyone is sitting back and doing nothing – waiting for the inevitable build-up of junk in the seas to make fishing, tourism and also much of the ocean environment unliveable. There are people not content with depending upon those in positions of authority. Among them are pioneers like Alex Schulze and Andrew Cooper, who so appalled with the state of things after a surf trip to Bali that they decided to take direct action themselves. To put it into context, these two young graduates from Florida are no strangers to the sea – no well-intended urban liberals with little knowledge of their subject matter. Both have been sailing, swimming, surfing and diving from a young age, and their passion for the seas took them to exotic shores such as Costa Rica, the Bahamas and Indonesia. There they encountered local fishermen thrashing about amid floating plastic and trash. Each trip things seemed to get worse, and today many fishing communities around the world struggle to catch enough to support growing families. The two friends were saddened at the thought of people dependent on the catch landing only plastic, no fish – and then it hit them. Quite by accident, they had stumbled upon a business model that may just roll back the damage and save our oceans: a business model built around fishing for plastic. What Alex and Andrew had come upon is the brilliantly straightforward idea of sending out fleets to haul plastic, not fish, out of the oceans. Humans only respond to crisis and economic stimulus, and if we’re to avoid the former we have to engage the latter, so the only solution is to create a business from cleaning the oceans. To do this there has to be a profit incentive, and after 15 months of research and countless criticism they came up with one. In the first instance, much of the debris collected can be sold on for recycling, but if you depend only on this the problem remains the initial outlay and effort required to ‘harvest the product’, an investment that can prove prohibitive. To overcome this, 4Ocean, the company set up by Alex Schulze and Andrew Cooper for this very purpose, sells 4Ocean bracelets to a growing global public with the aim of providing the cashflow needed to get the operation going and growing. The bracelets are therefore a sign of solidarity and support for people who are cleaning the oceans for us. It´s a momentous task, but for every bracelet sold a pound (almost half a kilo) of plastic rubble is taken out of the seas and oceans. The bracelets themselves are made from % recycled plastic water bottles and recycled glass, waterproof and have indeed kick-started a clean-up programme that has so far pulled over a million pounds of plastic out of the seas around Bali and Florida. 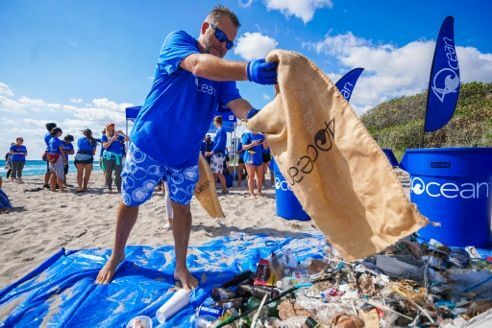 With over 180 employees and a large number of volunteers worldwide, 4Ocean has captains and clean-up crews working around the clock. It’s a momentous job, but they are getting it going and also offer a range of other environmentally focused products for sale that are aimed at reducing the further growth of the plastic mountains and islands. These include recycled flasks that counter the need for one-use plastic bottles, a full clean-up kit as used by the volunteers, and a monthly subscription that supports the work on an on-going basis. The organisation gets the process going, but also helps local fishermen to supplement their income through the collection and sale of plastic from recycling. However, initiatives such as this need to grow in scope and number, so that larger parts of the globe are covered and we can begin to slow, stop and eventually roll back the onslaught of plastic and other junk in our seas. 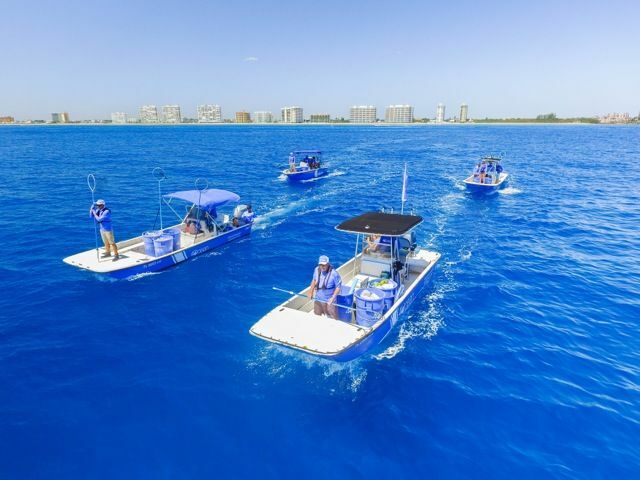 So visit the www.4ocean.com website and see if you want to support their work or even volunteer to help out in person.